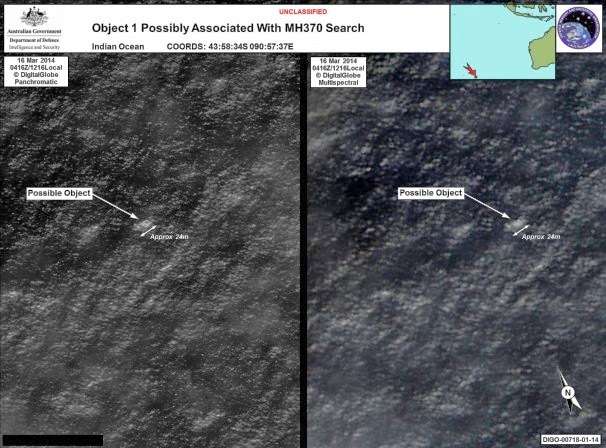 Satellites: First they helped international investigators calculate the missing Malaysia flight’s last known position. Now, another one has picked up what may be debris from the vanished aircraft. But the underlying technology that made it possible? It’s very different. Here’s everything you wanted to know about spy satellites. How good are these things, really? If you’ve used Google Earth, you know that free satellite imagery is already pretty good. Google’s systems are capable of incredible resolution — down to less than a meter. Some onlookers report that the real figure is actually about half a meter, and is limited only by government restrictions that prevent the image quality from getting too good. That’s consistent with what Mark Lowenthal, a former intelligence official, thinks, too. According to Lowenthal, president of the Arlington-based Intelligence and Security Academy, commercial satellite imagery can make out objects that are as small as 20 inches across. But Lowenthal notes that according to various press reports military satellites are about twice again as good, capable of resolution down to 10 inches. The Federation of American Scientists has a great side-by-side comparison of the same image sampled at various resolutions. What did the satellites pick up off the coast of Australia? As you can see in the images above, gathered March 16, investigators have identified an “object” about 79-feet across. Another is slightly smaller, about 16-feet across. It might be part of the missing plane. Given how big the object is, it seems the high-resolution capabilities were mostly overkill this time. According to the Sydney Morning Herald, the images were provided by U.S. intelligence sources, suggesting a government satellite may have been involved.